Bag made of polyester with front pocket and shoulder strap. Shoe compartment (separate rigid shoe box). Size:53cmhigh,32cm deep,52cmwide. Made of resistant polyester, this Erreà holdall is perfect for the gym, to take to competitions or to ordinary training sessions. The holdall has a large main compartment, a big side pocket with zipper closure and an aired shoe pocket, inside which you may insert a rigid base. 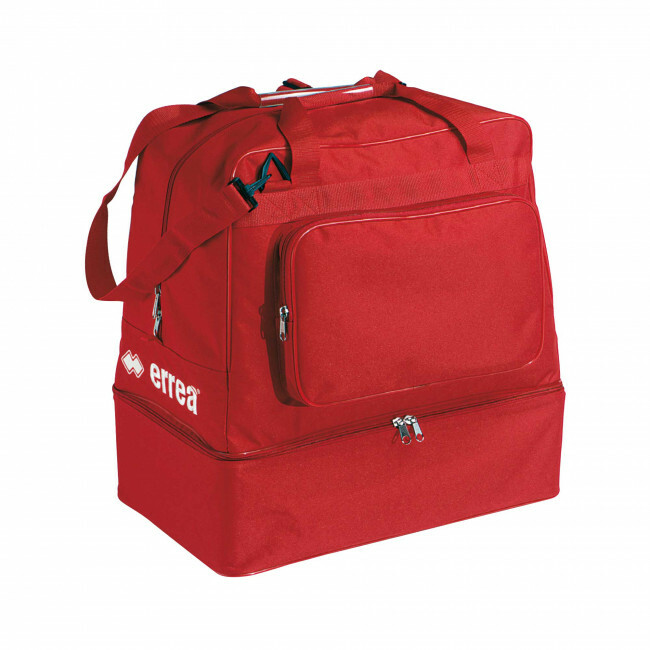 This holdall has a classical design and is provided in many colours so that you may show off your team colours.